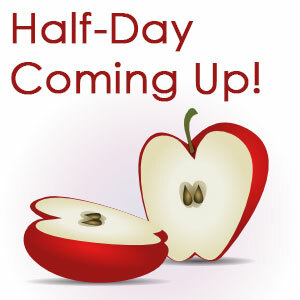 As a reminder, Friday, March 30, is a half-day for students. The second half of the day is reserved as a Teacher Workday. EDEP after-school care will not operate on March 30.